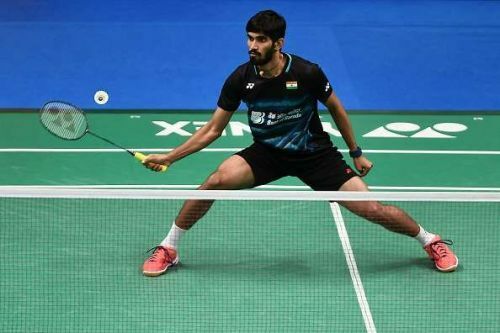 New Delhi, Nov 30 (PTI) Ace shuttler Kidambi Srikanth, who won four Super Series titles this year, feels that the Chinese players must be scared of the Indians who have beaten them consistently in recent times. Asked if the Chinese were scared of the Indians, Kidambi said, "I should say yes, because in men's and women's singles we have been doing very well and consistently beating Chinese players." Srikanth was responding to questions after he was bestowed the Sportsman of the Year award by CNN-News18. In 2016, Srikanth endured a tough year of his career as he had recurring knee and ankle injuries. But all that changed as he was phenomenal this year. Asked what has changed between losing to Lin Dan in Rio Olympics to the slew of title wins this year, he said, "It was a tough loss against Lin and I couldn't take it. It was really heartbreaking. "But I kept telling myself that I have to work hard. Lin Dan played 5 percent better in Olympics and he won. And then I played 10 percent better this year and it worked in my favour," Srikanth added. He gave credit for his achievements to chief national coach and mentor Pullela Gopichand. "If Gopi sir did not start his academy, we won't be here and Indian badminton would not have achieved what is being achieved now. He is a very strict coach, but a friend off the court. He has the experience to guide us in tough situations." Asked about his goals, Srikanth said, "I don't want to be known as someone who lost major events in the quarter-finals. I want to win medals in these major events next year." "I am not thinking about Tokyo Olympics as 2020 is a long way away. I want to think about next year."